BERLIN -- Skoda expects to double its new-car sales to "at least" 1.5 million in 2020, driven by growth in China, India and Russia, CEO Winfried Vahland said. Larger volumes at the Volkswagen AG-owned Czech brand will play an important role in helping VW reach its target of 10 million annual sales by 2018, thereby toppling Toyota Motor Corp. as the No. 1 global automaker. "Skoda is ready for a new growth spurt," Vahland said on Tuesday at the Automobilwoche industry conference in Berlin. Automobilwoche is a sister publication of Automotive News Europe. "We're looking to at least double sales by the end of the decade compared with today's volume. In 2020 we will sell at least 1.5 million cars," he said. Vahland said new models and the expansion of production in its Czech home market and in China, India and Russia will help sales to increase. But the brand will not start selling its cars in the other BRIC growth market of Brazil, he said. As part of a 10-year international growth plan, Skoda sales outside Europe will increase to make up half of the brand's volume from 30 percent today. Skoda calls the plan RS after the Czech words rust and strategie, which translate into "growth strategy." The brand also uses the initials RS for the range-topping versions of its cars. 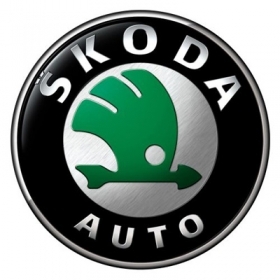 Skoda sales rose 1.4 percent to 684,226 last year. This year's volume is expected to reach 750,000. In China alone, the Czech brand's sales grew 65 percent in the first nine months after more than doubling to 122,556 units in 2009. Vahland said Skoda will remain positioned as a value brand and he dismissed analysts' suggestions that the carmaker cannibalizes sales from the core VW brand. Both brands share many technologies. "A Skoda car is not a cheaper VW," Vahland said, adding that the company's own statistics do not show that Skoda wins sales at the expense of VW. "Our competitors are the Korean brands Hyundai and Kia," he said. VW is losing 500 million euros in profit every year as the namesake brand's customers flock to cheaper models at Skoda and Spanish unit Seat, according to Ferdinand Dudenhoeffer, director of the Center for Automotive Research at the University of Duisburg-Essen in Germany. 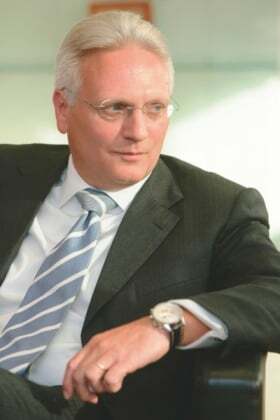 Crossover between Skoda and VW-brand models contributed to Skoda's previous CEO, Reinhard Jung, losing his position to Vahland, Dudenhoeffer has said. Built on the same technology platform, Skoda's Superb model sells for 2,500 euros less than VW's Passat while the Fabia compact is 1,695 euros cheaper than VW's Polo. Vahland ran VW in China before moving to Skoda. Vahland said Skoda will strengthen its position as the entry-level brand for the VW group and its brand positioning will remain as a carmaker offering roomy, functional and practical family vehicles that give value for money. Vahland, 53, took charge of Skoda on Sept. 1 after five years as head of VW in China.